The evaluation of research in the humanities, social sciences and law is a particularly delicate issue. The heterogeneity of the research and scientific products, the specific nature of the communication channels, the absence of objective data to support the assessment, due also to poor coverage in the citation databases, are some of the factors that are fueling the actual debate. In particular, in the field of law, it is important to note that the most relevant channel in the scholarly communication process is represented by the book: this literary genre is chosen, among others such as journal articles, for its ability to fulfil specific research needs. It is evident that the process of evaluation of this particular scientific product in the legal domain is very delicate. Peer review is definitely an expensive activity in terms of intellectual effort and time; however, it remains the most suitable method, hopefully supported by an editorial system based on transparency and verification of the quality of content independently of any connection with the author. 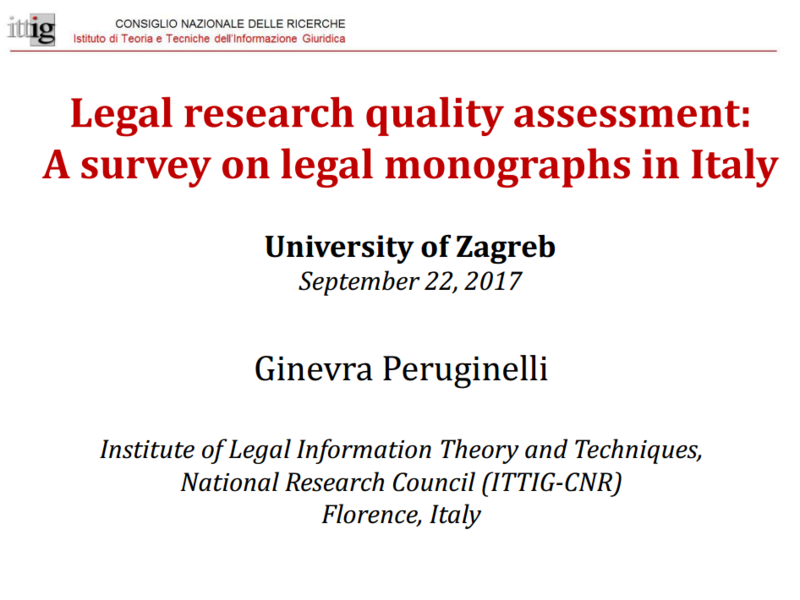 In this context the Institute of Theory and Techniques of Legal Information of CNR of Italy has carried out a survey on legal research monographs evaluation. The target respondents were the entire Italian legal community. The rate of answers was quite high, reaching 26% of all professors and researchers. The survey examined the criteria of research quality adopted by legal scholars. It also delivered a number of recommendations with respect to peer review, publisher classification, and other evaluation practice. The presentation will give an overview of ITTIG Project. The idea animating the survey relies on the fundamental epistemological principle that scholars of a specific research area are best suited to recommend relevant indicators for the evaluation of publications containing research results. Based on this, the survey (questionnaire) provided a framework, which empirically confirms the state of the Italian debate on the evaluation of scientific legal monographs. Italian legal scholars have assessed the quality of their scientific production using qualitative methods rather than bibliometric. Under the influence of the exact sciences, they are now encouraged to follow the evaluation model used for such sciences. However, this process is not obvious. 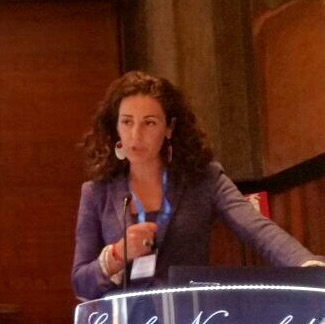 It is possible to affirm, based upon the answers to the national questionnaire and on the basis of the Italian and foreign literature, that the research quality assessment in legal sciences must take into account a number of important factors.